Easy to use enterprise level email platform. I-do | We-do | Honey do services address your needs from self service to full service. The reporting is by far the best of any email tool I have used, (compared to Mail Chimp, Constant Contact). We are able to review details of contacts opening emails, where they are globally, and the email service provider they use so that we can fine tune our emails to our customers. We've been able to see what times work best for sending, and increase open rates. OpenMoves templates are a bit limiting. It is not easy to make fine adjustments, or create an interactive email to engage customers. Everything has to be linked. Text boxes are not easily manipulated to wrap text around an image so everything is in a block format. You will have an easier time manipulating the template if you have at least some coding experience as well as using Pantone or hexidecimal codes to personalize branding aspects of the email. We have been able to increase unique open rates by identifying and scheduling blasts for ideal times. Our sales team is also making great use of the reporting following up with contacts that have showed interest through multiple opens, clicks, forwards. "Strong collaborator - Strong outreach "
Customer service and outreach are excellent. I would for sure recommend OpenMoves to others - we have had a very positive experience these last years around support and customer service, ability to assist (immediately) and for us, having a representative on the team that is "ours' is a huge asset. The goal of our outreach is information sharing and updates. We are reaching our network to the fullest potential and growing our network with each outreach. This provides awareness around the Forum we design each year to honor and lift up the work of the Nobel Peace Prize laureates. "User friendly and simple, yet packed with great features"
The OM system is very easy to use, even if you have no past experience or any programming knowledge. After a few minutes you'll get the hang of it. There are many options and features that allows you to create professional newsletters and email campaigns. Whether you are choose one of the many ready-made templates or create one yourself just by dragging and dropping the different sections of your new template. There are many options that help you send your newsletter to the right crowed, by using different segments of your address book. Once the newsletter is sent, the amount of information you can view in the reports section is very comprehensive, allowing you to learn a lot about the success of your newsletter, and how to improve the next ones. There are other services and features that will help you increase your sales and earnings, such as their Lasso Back option and more. In case you ever need it, their customer service is great, fast and very efficient, and their marketing team is always happy to give advice. Haven't found something I dont like yet. After using other newsletter platforms in the past, today our newsletters are better, which our customers love. We are also using their services to send all of our system's automatic emails, as well as using the Lasso Back feature which allows us to bring back people who abandon their shopping cart before completing their purchase. "Open Moves great tool for small B2B ERP consultancy "
We migrated from Pardot to Open Moves last year because of the easy, intuitive functionality and flexibility for html designed emails. Since Open Moves integrated with Salesforce, we were happy to find a platform that fit our sales and marketing requirements, and gave our small company the flexibility to design whatever our hearts desired. Certain functionalities like the 're-mail button' cut precious minutes off of every campaign. Great tool! The Salesforce integration could use improvement for the cost. Salesforce had to be the source of truth for data always, which was limiting when our marketing staff were adding or changing data in Open Moves and it didn't carry through to SF. I'd equate Open Moves to a mail chimp - easy, intuitive and good for a small to mid-size company. Pricing is great. Support is very flexible, we're actually based in Australia, but always got the help we needed. Salesforce integration was patchy at times, but worked. We've experienced improvements to our corporate branding, as Open Moves enabled us to better showcase ourselves visually. We also experienced a better corporate communications strategy, as Open Moves became a necessary tool for corporate comms as we opened offices in new countries. OpenMoves platform has been reliable, which is extremely important. We've had no performance issues. We also like the ability to segment our list and deliver targeted content to several segments using the same basic email. We've also been using their cart abandonment system, which has helped us recover some customers that otherwise might have been lost. Managing segments has become a bit complicated, as we have many many segments. It would be good if you could automatically hide a segment not used in the past six months. If you create a lot of content or have e-commerce on your site, this is a good option. Our two main goals in switching to OpenMoves was to reduce the amount of time creating separate emails for each segment and instead use dynamic content. This has been achieved. I would say we spend half as much time on this tedious task. Our second goal was to recover customers who abandon their cart and we have achieved an ROI just on this benefit alone. "Powerful Tools - Easy to Use"
OpenMoves has been supporting our email marketing and outreach efforts for many years. We are delighted by the ease of use and love using Open Moves applications. They are easy to use to our unique needs and provide fast, attractive and informative communications. They are particularly well suited for the government sector and which has high standards and barriers. Open Moves always comes through. Would like to see an event registration/management feature. Great product, great support, go for it! We work in the government and nonprofit health and human sectors. Clear communications, that breaks through the clutter (and firewalls) is mission critical for us. OpenMoves is by far the best platform and tool we have used. No need to change! "Open Moves - powerful and easy to use"
I evaluated several platforms for our email marketing campaigns. After a very thorough review and testing of several platform I decided that Open Moves was the platform for my company Sea & Reef Aquaculture. The program is powerful, intuitive and easy to use. The customer service is amazing. My questions and problems get answered and solved fast by a real person. Also, they don't nickle and dime you after you have signed up. I am really impressed about this company and it easily outperforms other more known platforms I tested. try it out - you will not be disappointed. So far I have not encountered anything I dislike. The service cost money even at the entry level after the 30 day free trial.However,it is so worth it for the power of the program and customer service. Sign up for the 30 day free trial and experience the difference for yourself. managing email campaigns to current and prospective customer. The major benefits for us include the powerful delivery reports so we can get feedback about who is reading our newsletters and click links etc. I started using OpenMoves 4 years ago to run a monthly Enews letter. The response was so good, that we expanded our activity to having OpenMoves manage our SEO activity, ultimately to move our entire website to their platform with a completely new website layout. The team at OpenMoves has the experience and professionalism to manage our transition and generate web results that were tremendous. Readership, links and web optimization has generated new business and new leads, at a level that was 10x more than previous.. We continue to look for new ways to use OpenMoves, in conjunction with our other marketing initiatives to expand our presence in our marketplace. Their team of experts are well positioned to optimize our exposure and work effectively with our overall marketing plans, growing our business together. Nothing at all. Easy to work with, great support and reasonable cost. Absolutely worth the effort to see what they can do for you. Clearly, OpenMoves has been able to improve our website layout and increase the viewership, allowing potential customers to navigate more effectively and connect us with a variety of E-Marketing tools that have resulted in new business. We have been using Open Moves as our primary service for mass email announcements for years. OM has evolved over time into a first-rate email service provider, with a friendly user interface and an excellent array of options for list segmentation and reporting. I design numerous html email announcements, and their WSIWYG editor is full-featured and easy to use to create great looking emails. OM support is very responsive. I always receive a prompt, helpful answer to my questions. There is not much to dislike! There may be a bit of a learning curve to figure out where things are (which screen / which menu), but then the interface is very powerful. Have a plan in place for which list(s) you want to import, and have a field or fields that differentiate multiple lists if applicable so that you can easily see how each one performs. If you have existing images that you plan to use, assemble them in a folder before you upload them to your Open Moves image library. You can always easily add more, but if you have a group to start with, it is helpful to have them all in one place on your computer (or in the cloud). We are able to create email campaigns targeted to various list segments quickly. The list segments are extremely easy to create ad hoc with extensive variables. We frequently have trade show visitors mention they received our emails and would like to learn more about our services. One thing that is a problem for us, but probably not under Open Moves control to solve, is that we regularly see large numbers of click-throughs immediately after emails are delivered, but they are not "real." We eventually learned that these clicks represent emails that are intercepted and clicked on automatically on the recipients's side to vet the links for security before the emails actually reach the recipient, which skews our tracking and stats. They provide personalized service. I get immediate support and they are attentive to details for each of our scheduled campaigns. Digital marketing has too many facets for a small business to manage without a partner like Open Moves on your team to take initiative to help you succeed. I think it is critical that they take more time to educate customers on the software and success. Proactive initiators of marketing as a member of your strategic team is wonderful, but results need to be evaluated for successful execution of market results. Reports are helpful, but they know more about what can work best to adapt your program to get the best results. This needs to be enhanced for a comprehensive ROI. Big problems are solved by this service because it's more than just access to a software program to manage digital marketing. Open Moves becomes a strategic partner on your team. They keep your projects on schedule and care about the results. This is clear by their focus on details and suggestions. Our business partners are very impressed with our continued communications about their products and our customers are very responsive to our continued promotions and professional exposure. The services that Open Moves Performs is vital to any business that is evolving to meet new demands of successful branding. As a Professional Services organization, our ability to communicate effectively with strong content is integral to our ability to succeed. OpenMoves' email marketing platform has truly served as a critical component to our business development efforts. Our business has grown exponentially since our inception in 2013. The input and support of OpenMoves has been instrumental in our growth strategy. Their team serves as a de facto extenstion of our team. They are partners in every sense of the word. I don't have many dislikes as it relates to the OpenMoves email marketing platform. The creative input they provide is definitely a value-add to our organization. It is always beneficial to have a partner that can serve as a sounding board when it comes to maintaining our focus and strategic vision. I wish I had unlimited budget to spend with OpenMoves. As we continue to grow - I'm certtain our relationship will grow, as well. There are a lot of providers in this space. To us, the most critical component of a strong partnership is good communication. We have forged a great relationship with OpenMoves. This has not only been predicated on the great work they do - but there constant efforts to always improve. Our organization provides critical insight and services specific to Compliance Risk Management within the Financial Services sector. The primary benefit we've derived from the OpenMoves email marketing platform is the brand recognition we've established in a very short period of time. Our strategic approach to communication (with the help of OpenMoves) has clearly been critical component to our early success. "A real enterprise email platform"
I love that along with their great email platform, they also have packages to help craft the email content. I have the option of doing everything on my own or using the help of Openmoves's email marketing experts to create compelling emails. The service the company offers is excellent. Their drag-and-drop editor makes it really easy to create email templates. My clients were mostly e-commerce sites selling hundreds or thousands of products. They needed to segment their campaigns by season and product line. Openmoves helped me do that easily. Since a lot of my clients used Magento, it was really helpful that Openmoves integrates seamlessly with the platform. They synchronized really well and my clients were able to increase sales via cart abandonment emails and automated product promotions. "OpenMoves platform, support, metrics absolutely A+ and top notch"
OpenMoves has an easy-to-use platform, a user-friendly interface, wonderfully designed templates and most importantly invaluable metric reporting that enables us to make business decisions that impact the growth of our business. The support we receive is an extension of our in-house communications team in terms of unparalleled response time and strategic direction to ensure we are operating at the highest levels possible. I visit there site frequently even when not deploying customer-facing communications but also to check out their insightful blog postings and best practices guidelines. I've been looking at this box for some time and nothing comes to mind. I suggest meeting with Amir and his team to discuss goals and expectations, and to answer any questions. They are an extension of our team and their care for our success is apparent off the bat. The entire team is extremely knowledgeable and quick to help. I recommend developing that comfort level and seeing the back-end system and the rest speaks for itself. My company is trying to reach members of the various markets we serve to introduce new services and products. We've found OpenMoves to be extremely beneficial once communication is deployed when we can measure our efforts with well-defined metrics at the click of a button. This had been lagging within the company prior to utilizing their services and the users (myself) through the executive sponsors are able to act on that information. I have been using the OpenMoves email marketing platform, OM3 for over 5 years.The drag and drop editor is by far the best of all the email marketing platforms I have used. The advanced features of OM3 like A/B testing, list management, personalization, dynamic content , segmentation, automation, transactional marketing, surveys, landing pages, Google Analytics integration and outstanding support are what set it apart in my eyes. Nothing to dislike. The dev/support team do an outstanding job of keeping OM3 ahead of the curve. Give it a test drive, you'll love it! The user friendly interface, email templates, image library and drag and drop editor is a huge time saver. It has made creating email campaigns faster and easier. Also we can readily manage: signups, email broadcasts, automation, transactions, re-engagement, surveys and events with OM3. The in-depth reporting of unsubscribes, opens, clicks, clicks-to-open rate, bounces, email hot spots and comparison of campaign performance has enabled us to see what works best and fine tune our campaigns accordingly. "Review of OpenMoves' OM3 Email Platform"
I use OpenMoves’ OM3 Email platform for 2 of my businesses: my vineyard and a non-profit animal rescue I manage. In both cases, the platform lets me easily store and manage new subscribers in an automated fashion. Sending out blasts is also extremely easy. I chose to code the email blasts myself, and copying the prior blast and applying edits is the way I choose to manage campaigns; however, I understand I could also use 1 of many free, available templates. I also haven’t used the inbox and spam filter tests, email blast review, auto responders, and triggered campaign features yet. OM3 is clearly full-featured for high-powered users, but also easy-to-use for running simpler campaigns as I do. I would like to see more video and tutorials on the features, but I have found Support and their extensive Knowledge Base to be extremely helpful. If you want ease-of-use and good, fair pricing, as well as access to templates and advanced features, consider OM3! I find it extremely convenient is that OM3 will auto-tag my outgoing URLs so that I can easily measure performance of my blasts in Google Analytics. For obvious reasons, this is extremely useful to me. Having thorough metrics available to me in the platform, and being able to supplement the results in Google Analytics makes it far easier for me to see what is and isn’t working. "Getting the Word out in a Clear and Concise Manner"
I have been using the OM3 Platform designed by OpenMoves for my music & entertainment business and I cannot begin to tell you how happy and content with the system I am. Not being overly sophisticated when it comes to hi-tech, I found their platform super easy to manipulate for my needs and logical too! One of their standout applications is their easy drag-and-drop editor used to create mobile templates. This is a very useful tool for my business and is an app that I find very easy to use and uncomplicated. Their 'segment builder' is a no-brainer, easy for a non-'geek' like myself. But probably the most endearing feature of this platform are the people behind the scenes. Their customer support is second to none. Within minutes a live representative is on the line responsively answering any questions or issues that you might be or are having. Their attentiveness to detail and willingness to 'go the extra mile' make OpenMoves an easy sell and I highly recommend this platform to all mid-market Enterprise level business's looking for an email marketing platform to bring their game to the next level. You will not be disappointed! Nothing at all to dislike! Its attention to detail and accuracy is what makes this platform the right one for me. OpenMoves has shown me how easy it is to keeping in touch with my fanbase all over the world. They do a first-class job at making it easy to connect with my email followers with easy-to-use but highly professional looking and eye catching templates. "The platform and services are a winning combo"
My favorite part of the OM3 platform is the drag and drop editor and segmentation tools. Both are easy and powerful, but by far the most helpful is the support team headed by Rose. At the end of the day I just want to pick up a phone and talk with a human that can solve my email marketing challenges in a NY minute. The platform and the service is winning combo. Designing emails have become a lot easier by using OM3. The team was able to design a custom an email template for me from the ground up and I had no problem using the template for my future email campaigns. Their emailer platform is great, very easy to use. Takes me under 10 minutes to create, proof and send out an email blast. I also think the A/B testing is very cool. The ability to copy the format from one month to another month makes it super easy for us to reuse our templates. OpenMoves' reports also help to see what our users are clicking on. I find it annoying that I have to change my email address so frequently, but I understand it keeps my account more secure. It's definitely worth your time to talk to these guys to see how they can help your business. We see the value of providing useful information to our clients. We primarily use OM for mass emails but we've also used them for creating drip campaigns. "Fantastic, easy to use marketing platform"
I love how OpenMoves offers an easy to use email building tool. I do wish there was a way to view who opened the email, and perhaps a scoring feature on that particular contact. Not a deal breaker. If you're able to add scoring, that would be ideal. Cultivating our leads with their easy to use email marketing tool. "Great product- Self service or full service"
I use OpenMoves for several years. I started with their full service (what they call We-do) and last year moved to self service (what they call I-do). They helped me create my strategy and mobile templates that i used on my own to send emails. I like the contacts section where i can segment my clients, patients, and referral sources and send them different emails. The editor is drag and drop and very easy and if i have a question i just call support and they walk me through it. Reporting is great and much better that what i had at constant contact. i can drill down to individual data as well as over time and compare email campaigns side by side. I like the platform and its a great friendly team thats always available. Nothing really to dislike. OpenMoves is not Constant Contact which is more like Walmart. they are a smaller firm with a great platform and amazing service. they work with you to help with strategy and anything you need and without a fee. and then they audit my results for free and give me tips. i like that. I have a medium sized medical clinic and i use email marketing to stay in touch with my contacts. "They have been delivering my newsletter content for 3 years flawlessly. " Great communication. If I email Ed and team I get a response right away. Service as well. If I need something extra or have a need Open Moves is all over it. I love these guys. Not a thing. I recommend them all the time. Being a business owner with a lot on my plate finding vendors to do things that cause you to have zero extra time or effort is a huge value. That's what I get with Open Moves. They do what I need them to do flawlessly. I'd recommend them to anyone. I'm raising visibility of my business and service through weekly and monthly newsletters. Simply gaining awareness of me and my viewpoints. "Easy to Use Email Platform"
The web platform is very easy to use and since a wide-array of templates are available, it showcases how creative you can get on the blasts. Theoretically, it should help with data integrity in our customer management system. I would like to take advantage of the survey and form builder but do not like having to pay for these additional services if I am administrating. If you have multiple locations using the platform, set up one administrator portal to avoid multiple logins. We have multiple locations and the platform allows us to have multiple users. It is important to have a system that is easy to use for users on different skill levels. I had no experience with email marketing platforms before using OpenMoves, and I couldn't believe how easy it was to pick up. After just a short training session, I was able to send sophisticated, visually appealing marketing emails to my target audience. The platform is extremely intuitive, and it provides clear and helpful messaging and instructions throughout the email creation and distribution process. And if there's ever something I can't figure out on my own, the OpenMoves support team always responds quickly and competently to my questions. I love the drag and drop email creation tools and the in-depth reporting features. As soon as an email campaign is done sending, I can easily find out exactly how many people received it, opened it, and clicked through it, as well as which links they clicked. Accessing and downloading data on these recipients is a snap. In addition, the ROI tracker tells me how many conversions each campaign generated, which in my company's case means how many people filled out a lead form on our web site. It's a great indicator of how well our email marketing strategy is working. In short, the OpenMoves platform does it all and provides a wonderful user experience from beginning to end! I would recommend it in a heartbeat. Answering this question feels like nitpicking, because anything that I dislike about the platform is so minor that there are easy work-arounds. In the past, my company was using a one-size-fits-all approach to email marketing, such that everyone was receiving the same emails (both promotional and informational), whether they were customers, leads, or people who knew little about us. This approach was proving less and less effective at generating leads over time. OpenMoves enabled us to easily segment mailing lists according to a variety of characteristics, including past email behaviors, which allows for more customized and targeted communications. For example, people who fill out a lead form on our web site will get a series of automated emails spaced one week apart that familiarize them with our product and services. This drip email campaign will serve to warm them up to what we have to offer and make them more inclined to sign up. Another problem we faced was our limited budget, which prevented us from hiring a designer to help develop our emails. Fortunately, a series of beautifully designed email and e-newsletter templates come with the OpenMoves platform. We sent out our first e-newsletter yesterday using an OpenMoves template, and I was so excited about how professional it looked! "If ROI is what you're after, don't think twice!" I have worked with Open Moves' email marketing platform for quite a few years now - for my company, Lumina, and for our own clients as well. We use the automated drip marketing campaigns which help clients get new leads with a very high ROI compared to anything else we've tried. In addition, they have the LassoBack sister platform which is a complete product in its own, and brings eCommerce to the next level. Lassoback helps eCommerce website incorporate cutting edge techniques such as shopping cart abandonment and browse abandonment - returning visitors to the website even if they hadn't purchased anything. I feel like their service is definitely the best around - you choose your flavor: "We do", "I do", or "Honey do" - depending on the amount of control you want to have over the materials produced. Whichever way you go, you will feel like you are their number one client (because you are!). Hard to say, really. There might be some things here and there that need improving, but these usually get addressed quickly, and are minor improvements that most companies deal with on a regular basis. eCommerce visitor visitor retention and acquisition, email marketing (all aspects), advanced tracking of URLs in emails. "Open Moves is where you should move your mailings"
After you get done with all the performance benefits, which are basically the same as their much larger competitors you have the secret ingredient - the people at Open Moves. My experience with each person that I deal with throughout the project to the upper management are the best. They care about every detail before they get the list and the creative, During the mailing they care about the time of day it goes out, how many are opened, how long people stayed on the page, whether they took action and more. After the mailing goes out they want to "lasso it" and resend it, can't wait to give a full analysis of what happened of what went right and what could be improved. THEY CARE!. Really can't think of anything. That they are physically far away, I would like more in person dealings with their management. Sometimes the client feels that their pricing is too high but after their explanation it is understood as to the reasons why and appreciated. "Email Marketing & Newsletter Software"
OpenMoves is extremely easy to use and has taken me from a being a novice (using Outlook to send 20 emails at a time) to doing complex, e-mailouts to large contact lists. I've now progressed to sending automated campaigns (for instance, in response to a new lead signing up to a newsletter subscription). Probably the best aspect is the high level of data / statistics you get regarding the success of a campaign, allowing you to quickly gauge which mailouts have engaged recipients and which haven't. These insights speed up the process of trial and error, allowing the user to improve the quality / design of their mailouts very quickly. The level of support from OpenMoves is also very high and they are always on hand should there be any issues. Difficult to say as the software covers so many bases. This has saved me a lot of time - the speed with which mailouts can be designed and sent to existing contacts lists is impressive. The ability to track of campaigns (especially when links are 'tagged' using Google Analytics or sent to a bespoke landing page) is also a major benefit. Marketing and keeping in contact with my clients and prospects ... and Open Moves fully supports that. "Open Moves has helped me grow my business"
I enjoy a lot features of OpenMoves Email Marketing Platform. It is smart and powerful, and has everything you need as a E-marketing manager! You can manage your contacts books, design your e-blasts using beautiful free templates, schedule and optimize your sending, and monitor and review your campaigns in the reporting section. Among all the functions, the resend is my favorite. It is such a convenience and easy-to-use tool that allows you to schedule a resend to those who did not open your email in the first round on any day you like. So far, this function has been helping me add about 10% of to my first time open rate. The current email marketing does not allow video playing within the campaign. I have to take a screen shots of the video and link to YouTube to play it. In addition, it wouldn't be better if OpenMoves Email Marketing Platform provides more new templates, especially for holidays and events. Can't wait to see more creative templates contains cute features like animations. Definitely take advantage of the resending and reporting functions. You will see good results! OpenMoves Email Marking Platform helps me with newsletter design and sending. I have realized great freedom to edit and full control of my campaigns. With the reporting and resending functions, I am able to analyze the recipients' behavior and preference, and adjust our E-marketing strategy accordingly. "Recommendind an excellent service for Email Marketing"
I am posting this recommendation on behalf of my friend David Ehrlich who is a writer and owns a bookstore café in Jerusalem which sends out regular newsletters to over 4000 clients at least twice a month. For more than 5 years he has been using Openmoves as his internet marketing platform, and has found their services to be excellent. Not being an expert himself, he finds their system to be user friendly and easy. Creating the newsletter through their system is quick and the premade designs are particularly clear and high quality. He found their support crew to be attentive, quick and highly professional. He is recommending them to his friends and colleagues full heartedly. Since Hebrew is written from right to left, switching between Hebrew and English with the system takes certain adjustments. David says that he is able to send out elaborate graphics and images through openmoves. He also enjoys the reports system they have. It's fantastic to be able to follow my email campaigns and get valuable elaborate info and statistics about my clients usage of my email campaigns. "OpenMoves .... simple, efficient, and dynamic"
OpenMoves is user-friendly, handy, fast, efficient, and fun. Consider nothing else. OpenMoves is simply the best. The product has everything you would want in an Email Marketing platform. The analytics part of the platform helps your business improve. User-friendly and fun. Engaging and disseminating leadership communication to our business team to be able to provide necessary services to our patients/clients. 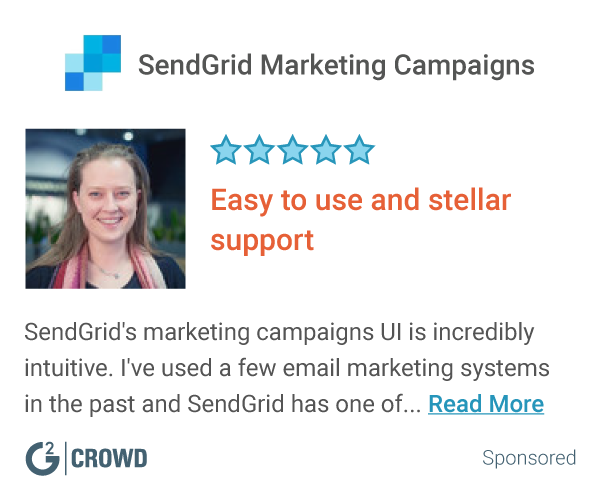 "A great email with a simple interface "
They have good drag-and-drop tools it's very easy to use and to generate email campaigns. You can automate almost every part of the marketing emails. OM also provides useful statistical analysis tools. They give me a solution for automating the newsletter, they help me with the drop off clients, most importantly helping me with the retention and renewals. "Open Moves Service Sets Them Apart"
While the tools are great what sets Open Moves apart is their service. They are unbelievably helpful and quick to respond. They will let you do your own thing, help you do your own thing or do it for you. Over time I have had login issues. My admin has had to get help on a regular basis as they are not recognized by your systems despite being set up to do so. You won't get better service anywhere. Open Moves helps me reach both current clients and prospects on a regular basis. They also help me with "special" campaigns. They are an integral part of my marketing efforts. The regular contact adds credibility to my business. I regularly hear from a prospect that they took the meeting because they have been getting my email newsletter. "I use Oepn Moves with several of my clients, it's an intuitvie and robust ESP." Easily integrates with Sales Force. Great customer service. Dependable and intuitive and a great fit for small to midsize B2B marketing. I have recommended Open Moves to several of my clients and everyone of them are extremely happy it. Open Moves makes it easy to test, analyze and continue to improve our email marketing efforts. "We've been using OpenMoves for over 10 years"
We are a small business consulting firm and we've been using OpenMoves for over 10 years. Their content management system (CMS) is very intuitive and easy to use. What I like best (versus Constant Contact) is that I can get one of their service support specialist on the phone immediately to resolve the rare technical issue I may have. I have no complaints and I've been using for over 10 years. Want to look more professional? Then move from Constant Contact to OpenMoves! We use OpenMoves to market to small business owners in the area and have acquired numerous new clients using their services. I thought the integration with the CRM was really important and the support I received from Amy was wonderful. The experience was great and she was so helpful in setting up training opportunity. Amy made herself available all of the time and we really appreciate that. Nothing I can think of honestly. I really believe everything is awesome about the product. We continue to strive at looking at ways to better improve our campaigns and looking to increase the viewership. The benefits have certainly been giving us better marketing tools. "Great customer service and support "
A simple, intuitive interface and great customer support. Additional options available to help track user behaviour online and for lead scoring. I wish it would integrate with more than just the lead and contact objects, to save having to do some custom development within our CRM. The platform can be integrated with CRM, allowing us to create and trigger more automated campaigns, based off CRM campaigns or status changes within the CRM itself. Sales teams have sight within CRM of Marketing activities and how recipients have engaged with that activity. "OpenMoves is Extremely Supportive and Robust"
We have used many email marketing platforms. OpenMoves was there when we needed them in a crunch, they answered our questions immediately and thoroughly. They are smart, strategic and helpful. They know email marketing. The other platforms were not as robust and did not have the Salesforce integration to the level we needed. The user interface is not as pleasing to look at as some of the other platforms. Ability to send emails to mass amount of people in a simple method with out getting blacklisted. Salesforce integration. "Email Marketing Partner for 15 years"
Open Moves has multiple options which gives me the flexibility to have them do all the work or to have me do some of the preparation. They use a method that does not lump me in with others who might be spamming and then prevent my email from going through. They are creative in the development of email listening to my needs and the needs of my clients. This is really difficult as the reason we have used them for 15 years is because they totally satisfy our needs. We are raving fans. They do not link to ACT! which would be helpful. Give them a try. You will love them. Lead Generation. Our contact rate continues to climb. I love how easy it is to navigate. OpenMoves is very user friendly! There is nothing I dislike. I'm very satisfied with the service! I use OpenMoves for email marketing. It's easy to design professional emails, and track how well my client base responds to them. "Great email platform, great service"
Easy to use and a terrific team of people behind it. This is especially important to me, being new to this type of technology and focused on my work, rather than figuring out marketing. Small but smooth learning curve, but assume that would be the same -- or more challenging -- with any such platform. I see that it will help me distribute my writing on topics of importance and interest seasonally to people dealing with life's challenges in my field. "My Customers Thank Me For The Emails I Send Through Open Moves "
Open Moves is easy to use and immediately started increasing jewelry sales when I started using it two years ago. They personally showed me how to use the platform and are very quick to address any questions I have. My customers literally thank me for my emails sent with this platform. It's perfect for my needs. I have nothing to dislike. Don't wait to try it. I wish I had started using it years earlier. I introduce new jewelry every week and this is a great way to let my customers know what's new and get them to my website. It reduces the time I have to spend on social media and ad spending $. "Open Moves takes the fear out of email marketing"
Thier support is fantastic! Every time we've needed to customize our email blasts Open Moves support has been right there every step of the way, technically and creatively. We've been able to quickly and easily keep in consistent contact with our clients and prospects. The long term benefits of this effort have paid off in so many ways. Open Moves has taken the drudgery out of this process and actually made it fun! My organization uses OpenMoves for drip marketing and email marketing to our donor audiences. The building blocks for content creation make for a very user-friendly design experience. The flexible pricing models are also perfect for our non-profit organization. Though OpenMoves is a great e-mailing platform, it is not much more. There is no option for embedding video in e-mails. When we have used it to direct to e-fundraising platforms, OM did not integrate as seamlessly as we hoped with our e-transaction. The ability to segment audiences has been helpful and the reporting makes it simple to measure our outreach. We have been able to steadily grow multiple email lists through OpenMoves' analytics. I found the customer service at Open Moves to be exceptional. They are always there to answer any questions, or to offer advice with new email marketing decisions moving forward. They have many options to choose from and are always offering expert tips and trends in the industry. I really don't have any problems to speak of. everything has been wonderful. We are able to reach out to large lists of potential clients and organize staggered deliveries dates. intuitive platform, easy to use, delivers results. we've been using OM for our newsletters for 3 years and have never had any issues or technical glitches. I'm the account admin and have trained new employees on the platform and its straightforward and fast. honestly, I cannot say that I have found something specific to dislike! we are a boutique creative agency and use OM for our monthly newsletter, reaching out to our clients, and also to new people we've met and have been added to our database. looking for new business leads... and the email open rate has been great - we've received many new projects from people who first meet us through our email marketing. "OpenMoves is exactly what we needed!" OM3 is easy to use, their support team is great and they always respond quickly and politely, and we love how it integrates with Pipedrive. Takes a few clicks to get to where you want to be, but it's intuitive. Automated email marketing has made marketing super easy and efficient for us and our Franchises all over the world. "email campaigns for customer relationship management and new business initiatives"
Everyone at OpenMoves is very responsive and supportive of my business needs. OpenMoves help us better communicate with our members. We have achieved more effective communication, increased our clients awareness of all the products and services available, and increased year to year revenue. Constant recommendations for opportunities are given, and plans are set into action very quickly. The attentiveness and deep partnership is a quality about Open Moves that cannot be replicated by any other boutique or large firm. There is nothing I dislike about my experience with Open Moves. Open Moves has been critical to the success of our marketing targets across email, SEO and PPC efforts. I see continual growth which is due to the staff's intimacy with technology, and strategy. "Currently used for B2B email marketing campaigns"
The OpenMoves platform is easily navigated and provides the user with a great deal of flexibility in the creation of segmentation of email marketing lists as well as the design of each template. OpenMoves also provides the user with a great deal of metrics to better determine which marketing campaigns are most successful and why. There is always someone readily available to answer any questions regarding the system. There have been some issues with the tracking features compatibility with Google Analytics, but the support staff has been helpful in resolving the issue. OpenMoves has proved to be extremely helpful with the segmenting of our organization's email marketing lists. This allows us to prevent excessive amounts and ultimately better reach our clientele with the appropriate marketing materials for their specific business needs. The reporting features allows our organization to track the metrics of our individual marketing campaigns - a great tool for determining which email marketing campaigns were the most successful and why. * We monitor all OpenMoves OM3 reviews to prevent fraudulent reviews and keep review quality high. We do not post reviews by company employees or direct competitors. Validated reviews require the user to submit a screenshot of the product containing their user ID, in order to verify a user is an actual user of the product. Hi there! Are you looking to implement a solution like OpenMoves OM3?